Posted May 12, 2017 12:02 pm & filed under Photography. 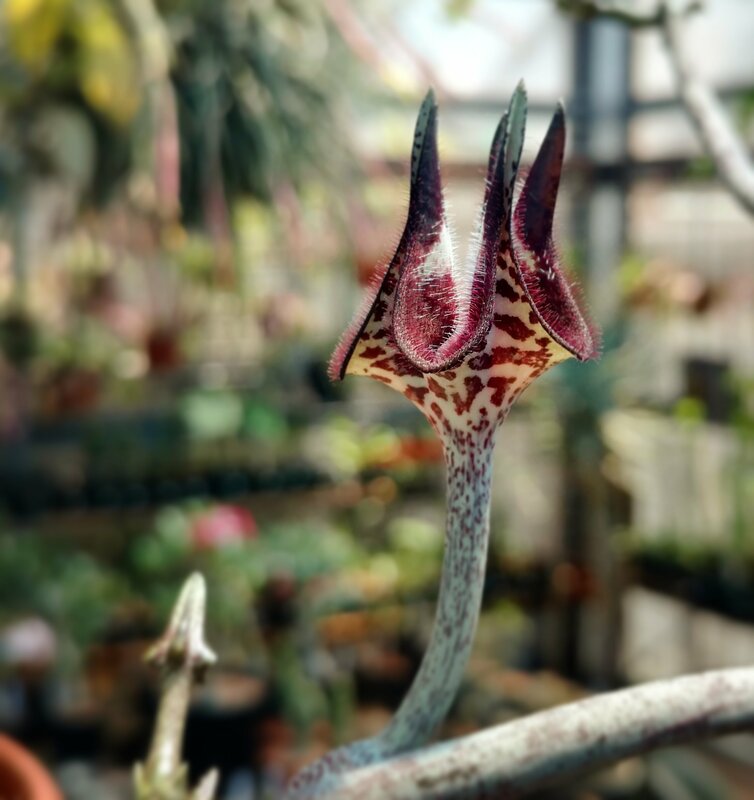 Ceropegia serpentina is one of the strangest succulents with a basically bare stem that travels in weird directions. Until it blooms. Here it is just starting to open. And there are more than a dozen more buds still to come!